Healthy living is all about eating well and exercising, two activities that tend to fall by the wayside in our fast-paced, hectic culture. 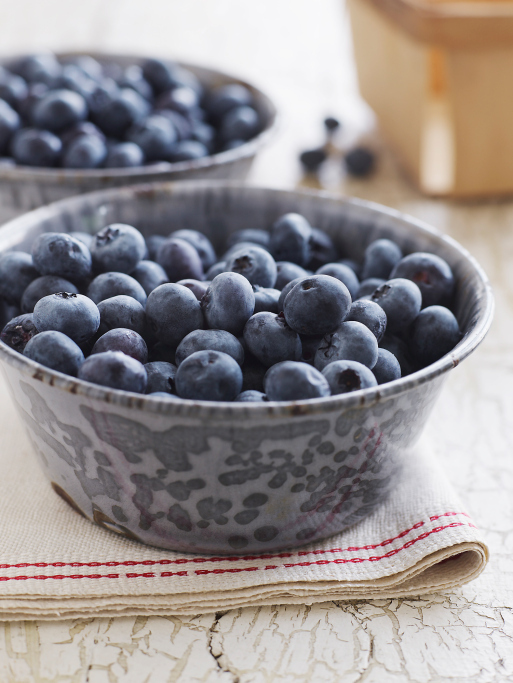 Luckily, good nutrition can be as simple as loading up on these three super foods. Blueberries. These small, antioxidant-rich fruits are packed with fiber, potassium, and Vitamin C. Eating about ½ a cup per day will decrease your risk of heart disease and cancer. Additional benefits include anti-inflammatory properties, which can help control a host of chronic diseases. Added tip: For a breakfast that would make your doctor proud, combine two super foods by throwing a handful of blueberries in your morning oatmeal. Now that’s healthy living! Old-Fashioned or Steel-Cut Oatmeal. While most people know eating breakfast is important, few realize that making it a daily habit can add up to two years to your life span. Need super breakfast food suggestions? Try old-fashioned or steel-cut oatmeal. Full of soluble fiber, this super food fights heart disease and high cholesterol, and it’ll keep you full until lunch. Broccoli. To help decrease your risk of cancer and increase your chances of an A+ on your next annual physical, load up on this green favorite. With 100 percent of your daily requirements for Vitamin K, and almost 200 percent of your daily requirements for Vitamin C in just one stalk, broccoli is a super food that packs a powerful punch. Need more options? Learn about other super foods here and pass your next annual physical with flying colors.